The Z-TOO is impregnated with salt so it is less buoyant as well as designed with ElazTech technology which makes these baits indestructible. It fishes more like a traditional soft plastic jerkbait and the rate of sink can be varied by the size and weight of the hook. 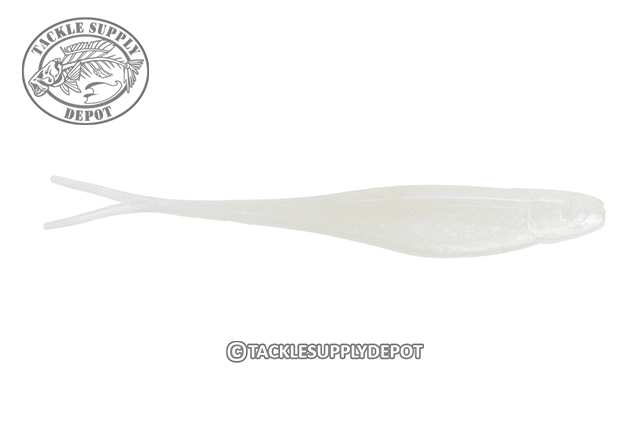 It is the favorite of many anglers for drop-shotting as it can be nose hook it and it won't tear! The most common way to rig these is weightless Texas style. Popular hooks are Mustad's Ultra Lock and VMC's Special Rig'n hook. These have an exaggerated Z bend in the front which holds the bait on better than hooks with a 90 degree bend. The Z-TOO is also deadly on the back of a Carolina Rig. No matter how the Z-TOO is fished it will stand up to fish after fish without the need for replacing as often as traditional plastics.